I can’t say that there were wild celebrations across the inner north as most realise that we have been there done that and – so here we go again. But let’s be positive – or at least keep the fingers crossed that the planners will be allowed to do their job this time. Last time, being 2014, there was a simple LDA agenda – to get the residents to agree to apartments. Didn’t happen – so the whole event came to a crashing silence. This time, at least the government has picked up partially on the outcome of the 2014 consultations in that residents were very clear that the whole area should be subject to a master plan before anyone started plonking worthy or even unworthy edifices on the site. There are layers and layers and even more layers to this. One significant aspect being that at least three ACT Ministers have an interest in the outcomes as they all want to have a piece of the pie. While all the various agendas were not overtly announced with the launch in January, they have been promoted in various forms over recent years. On the day of the announcement the Northside Community Council (NCCC) was reported as being supportive of some high rise even though other residents were not so sure that there is support for this. Maybe the Labor Party influences were behind that statement. And then there was the usual spin. Somehow any development on this site will link to the coming tram along Northbourne. This ignores that most people will easily walk 400m and at most 800m to public transport – but in this case it is more like 1km and there are buses nearby. I wish this silly ‘tram spin’ would stop – it will serve its limited purposes but that’s all. While I was not able to attend the launch of the consultations, especially given the less than 24 hrs notice issued, one had hoped that someone would have asked for an update on the questions around the not so transparent deal to swap/purchase land between the Tradies and the ACT Government. Missed opportunity! I wonder how the Minister would have answered. 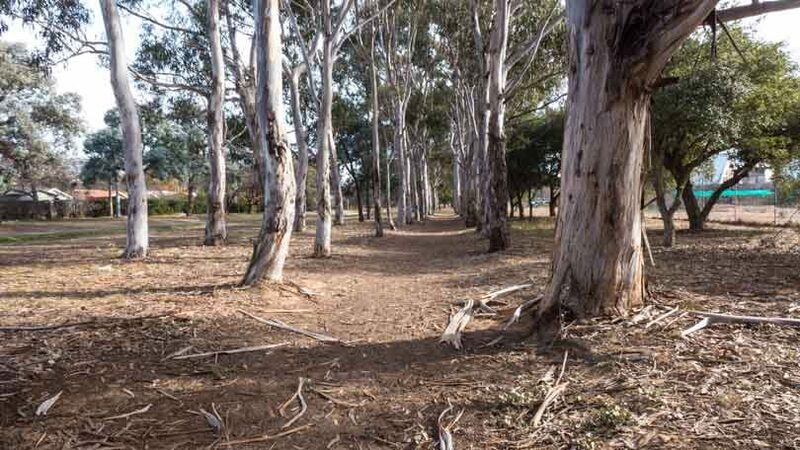 Meanwhile to use the published quote: “This is a fantastic opportunity for the Canberra community to collaborate with government on opportunities for the site to support the community into the future, including potential changes to land-uses, and the design of the site,” Mr Gentleman said. And so people are being asked to collaborate with the government in developing the site – noting that subtle hint: including potential changing the land-use’. One Minister possibly signalling that he wants to implement something? And the other Ministers? One seems to have expanded the promise of another ‘Common Ground within the inner north’ to automatically mean that it must be on this site. 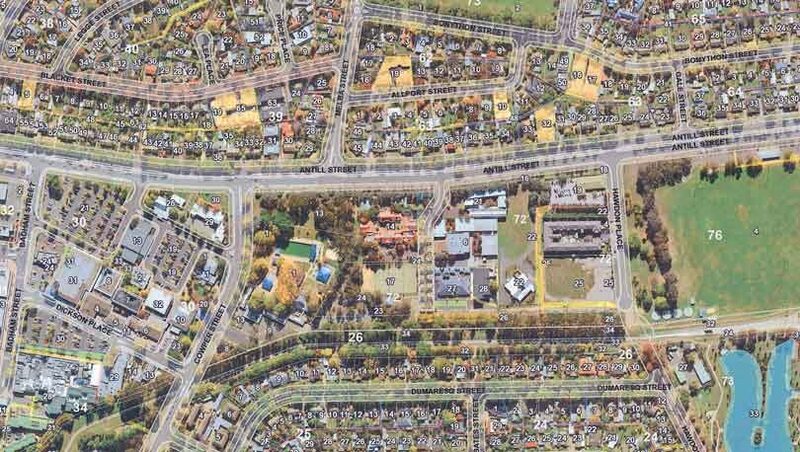 Could there be other sites for Common Ground around the inner north? We hope that the forecasted planning exercise will seek answers to this and will propose alternatives. I could name at least two. Another Minister would like to see apartments. But so far there is little support for this especially as so much development is already happening within central Dickson and in the nearby suburbs. To be clear on one thing. The former stalled consultations were clear that this parklands site should remain primarily a site for mixed community use. Many support an upgrade of art and community facilities. One hopes that the planners will be allowed to examine models such as Hazelhust in the south of Sydney. In short: Residents request that the ACT Government ensure that this coming exercise is a rigorous master planning process that will identify and investigate not only what options could be considered for the Parklands site – but also whether there are other opportunities in surrounding areas nearby that should also be considered for provision of any of the services mentioned by all three Ministers and their spokespeople (formally and informally). And to avoid sins of the past, the final master plan should be given statutory force via a draft Territory Plan variation. And before I go – something nearby is very wrong and has an impact on planning around Dickson. For a long time the Downer Community Association has had a lease of the Downer Community Centre building and have maintained the building and provided heaps of benefits to the local community. All this has suddenly been threatened by the so called “property Group’ in government. Support is being sought – click here. Back to the Parklands site: Please have your say via the government ‘yoursay’ weblink. The Dickson Residents released a statement late last year – here’s that position statement.